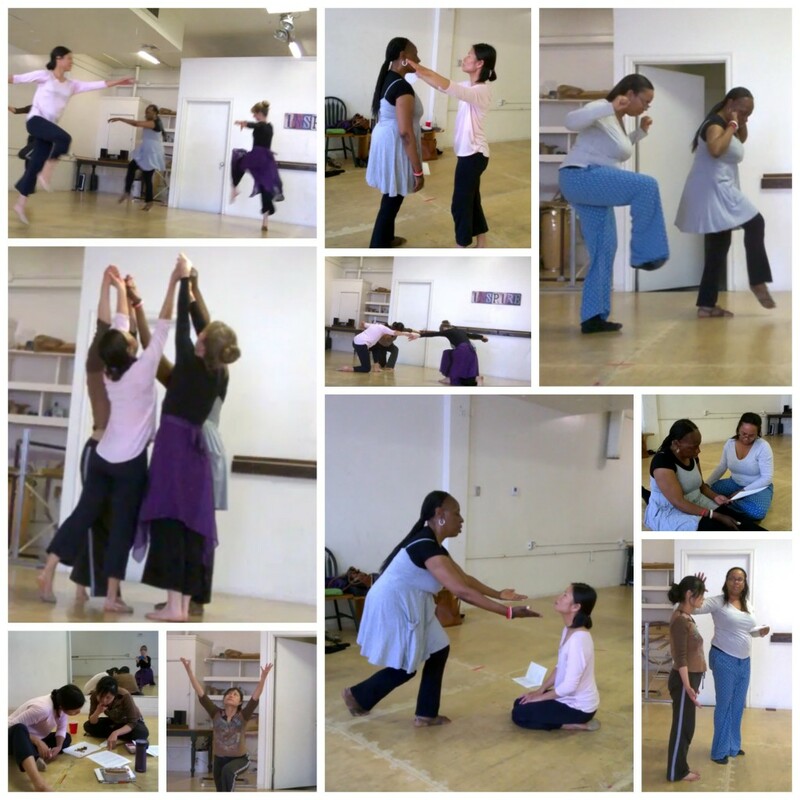 Thank you to all who prayed for the Movements of Intercession – Dancing Your Prayers workshop in Pasadena last weekend. We had a powerful time studying the scriptures, stepping into them through movement, and interceding for each other, our loved ones, and our nation. 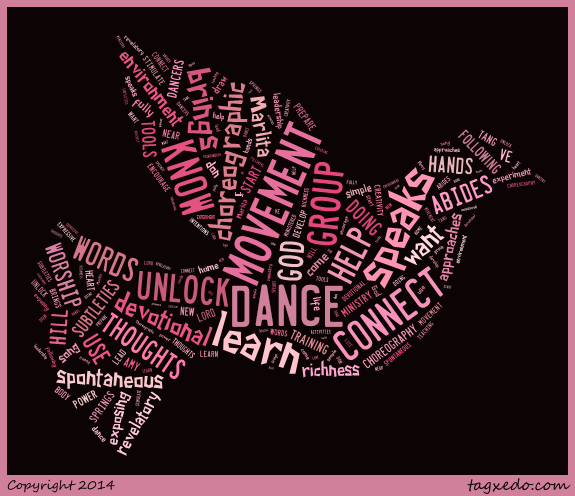 Do you consult others when you choreograph? 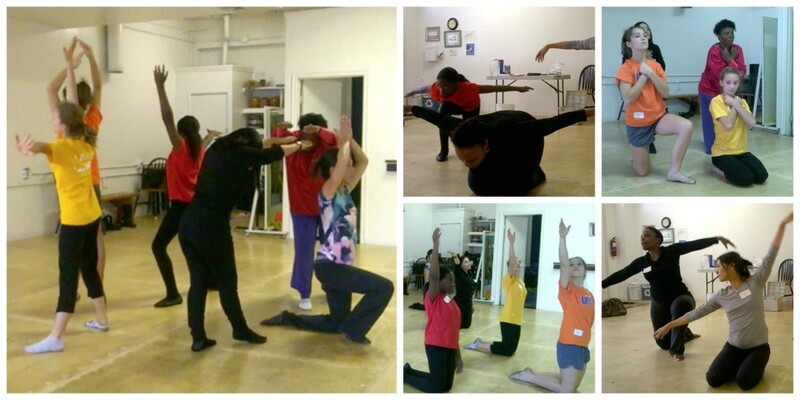 When choreographing, should a dance leader look to hear team for inspiration and confirmation about choreography? Or, does seeking the opinions of others muddy a leader’s connection with God and what He specifically wants to say through her dance? Does God primarily reveal His Word for the dance through the anointed, appointed leader? Or, is it important to listen to and gain ideas from a group of Spirit-filled dancers, so that we can more fully understand what God is trying to say? 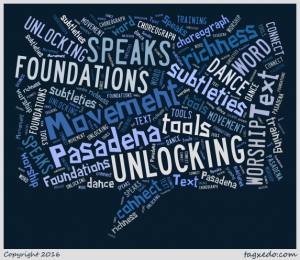 Author AmyPosted on March 2, 2016 April 15, 2016 Categories Biblical teaching, Choreography, dance workshops, Instruction, Prophetic DanceTags dance that speaks, dance workshops, God speaks, hearing God's voice, liturgical dance, pasadena dance, pasadena workshop, prophetic dance, worship dance4 Comments on Do you consult others when you choreograph? I want to dance like her! 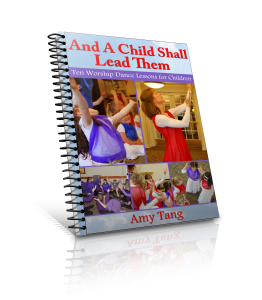 Author AmyPosted on February 17, 2016 April 15, 2016 Categories Choreography, dance workshops, Resources for Praise Dancers, VideosTags Marlita Hill, pasadena dance workshop, pasadena praise dance, praise dance, praise dance pasadena, praise dance workshop california, worship dance1 Comment on I want to dance like her! Thanks to all of you who prayed for the Devotions in Motion Workshop this past Sunday. We had a wonderful time. God brought a beautiful group of women who had a heart for worship. It was a small group – perhaps because it was a Sunday, perhaps for other reasons. But it enabled an intimacy that was beautiful and also allowed us to learn an entire group dance. Enjoy the recap video and join us next time. The Worship in Motion workshop this past Saturday was very powerful. It was an awesome privilege to teach with Marlita Hill. It was also very moving to work with a group of women who came wanting to go deeper in choreography and worship and who came with hearts open to share and to learn. The Lord showed Himself faithful to minister through the teaching and through the group activations. 1. God knew what you have a don’t have in terms of skill, experience, finances, (everything) when He called you, and it’s enough. So, no more apologies! 2. The Word is Living. He speaks. He has a tone. He has a message that He wants to communicate through our dance. So, we must get in touch with Him, we must take time to hear from Him if we are to speak for Him. There is no short changing this step. 3. The context (of scripture, of a song, of the people to whom and place at which you are ministering) must shape how you interpret the word. Pay attention to context. For example, love doesn’t look the same in every context. So, if you are communicating about God’s love, listen for the context in which He is extending it. His love is multidimensional, and so there are a multitude of different ways to embody it through dance. 4. We do not need to be perfect, just wholehearted. So, engage your whole heart and your whole body and trust Him to speak. There was more, but I’ll let the video recap speak now. Hope you see and hear Him in it. Did God speak to you through this recap? I hope so. If so, please share how in the comments. It will encourage me and others. Do you want to dance in a way that speaks? 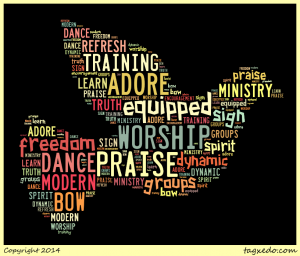 Do you want to speak to the Lord more intimately when you dance? If a picture says a thousand words, a dance can say so much more. 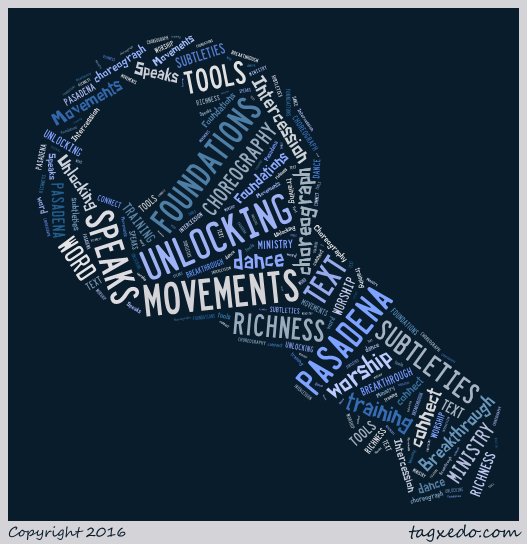 Sometimes we need help unlocking movement that truly speaks. 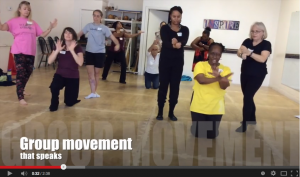 I’m full of joyful anticipation for the Worship in Motion praise dance workshop on January 31 in Pasadena, CA. If you live anywhere near me, I hope you will come. I’m so thankful to say the workshop is filling up quickly. 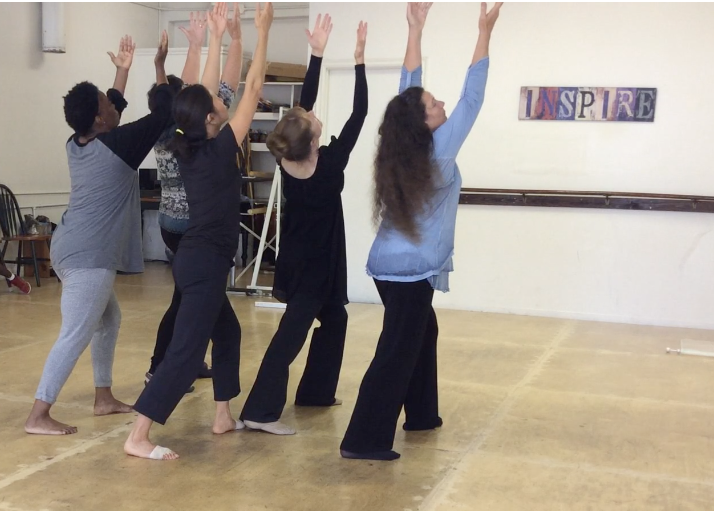 After spending Saturday afternoon with Marlita Hill, who will be teaching at the workshop, I felt like our vision and the gifts God has given us will truly come together to help dancers speak powerfully through their movement. I only know a few movements, and I want to know more. How can I get my dance to connect more deeply with the music? Can I dance powerfully if I don’t have much experience? I want to deepen my connection with God when I dance. I want to dance spontaneously with greater freedom and confidence. So, if you resonate with any of these questions/concerns/desires, join us. 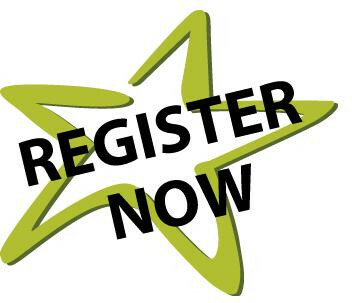 Click this button to learn more and to register. Thank you so much to all who prayed for the Worship in Motion Praise Dance Workshop in Pasadena this past Saturday. Your prayers made a tremendous difference. The Lord blessed the workshop, blessed me, and blessed those who attended. 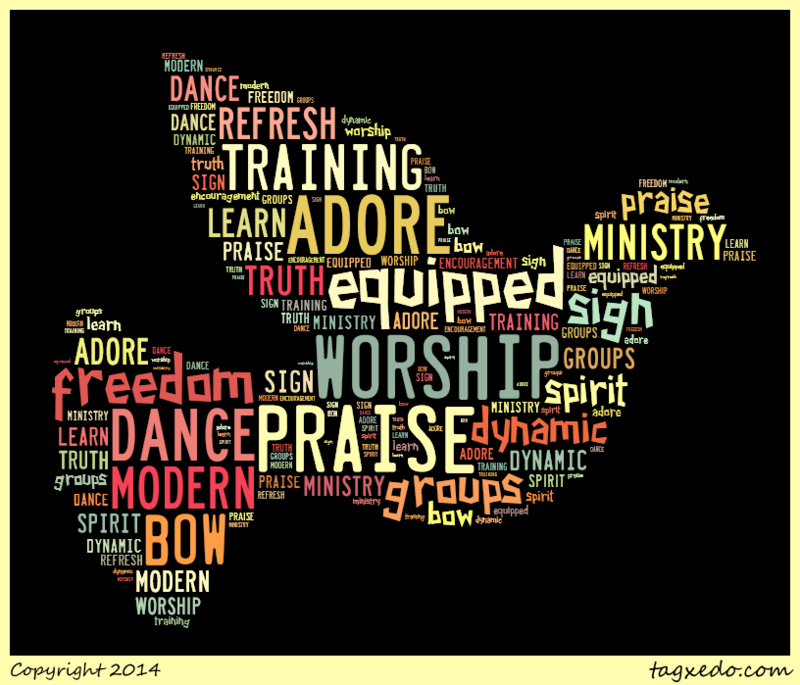 An early worship dance mentor said this to a group of worshipers at the first praise dance workshop I ever attended. Her words have been seared in my mind. I was a worshiper before I was a dancer, and dance has been a way to express my worship. I know the Lord looks at my heart much more intently than he looks at my skill level. 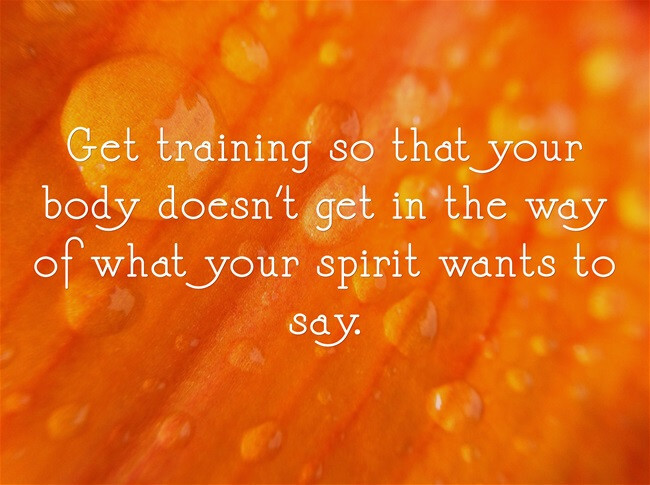 For many years, getting training was not a priority for me. I loved worshiping the Lord in private (no credentials required for that) and taught simple movements to children to express the heart of songs.